UK house prices to rise by 50% in the next decade! 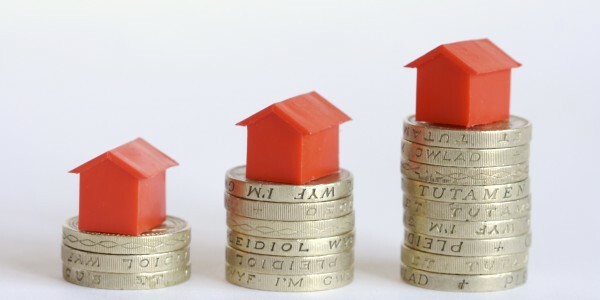 The price of the average UK home will rise by 50% in the next 10 years, say the National Association of Estate Agents and the Association of Residential Letting Agents. It has been forecasted that average UK house prices will rise to a mega 419,000 in the next ten years. From the 280,000 average price now in 2015, that is certainly a hefty increase which is sure to price out most buyers. The average home in the capital is said to rise to 931,000; this is double the current average house price in the space of ten years – a relatively short time in the housing market for such a huge mark-up. And it’s not just property buyers that will be feeling the pinch; the average cost of renting a home in the UK is set to rise by 27%, taking the average rent from £134 a week to £171 – a significant change. National Association of Estate Agents (NAEA), Mark Hayward, has said ‘house prices are only going to go one way, and unfortunately that is up’. “For so many already priced out of the market, this is news aspiring house buyers will not want to hear. Ongoing house price inflation, combined with low wage inflation, tighter lending restrictions and a shortage of affordable housing, means owning a home will continue to be distant dream for many,” he added. Breaking down these long term projections, UK average house prices would rise by 4.1% each year, and average London house prices would rise by 6.3%. Rents rise at an even slower rate; 2.5% a year across the UK as a whole and 3% a year within London. That would take average weekly rents in the capital, from £234 now, to £314 by 2025. It should be noted, though, that the breaking news headlines forecasted above are based on figures during the past ten years, so estate and letting agents have made their predictions assuming that rises in the past ten years will simply continue at the same rate for the next decade. The Land Registry recently reported that house prices in England and Wales rose by an average of 0.4% in November, leaving the annual growth rate at 5.6%, the same as in the previous month of October; it seems the steady growth rate shows no signs of stopping. Analysis of the above figures leads to industry experts arguing that there will be a huge dip in the rate of home ownership owing to the steep rises in property prices; hence, the demand for rented homes will be boosted. It is predicted in a recent report that the proportion of people living in private rented accommodation rather than owning their own homes will rise by 9% in a mere decade (from 20% now to 29% in 10 years’ time).